Merit Awards and Market Research Pvt. 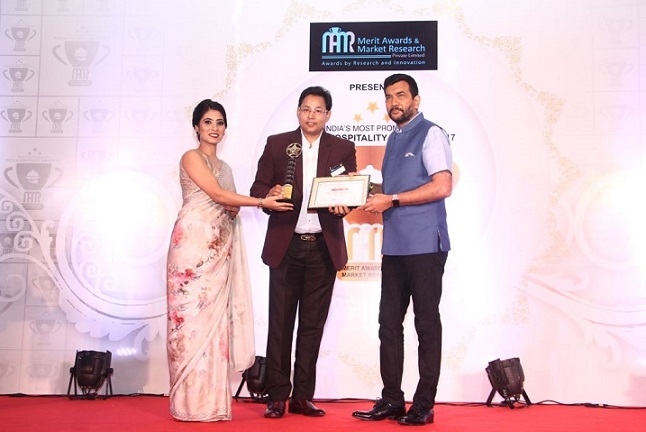 Ltd. is one of the leading market research company which organized India’s Most Prominent Food & Hospitality Awards Ceremony to felicitate India’s Leading Food & Hospitality Sector. The event was held at Holiday Inn, New Delhi. The program was rewarded for providing outstanding contributions to the field of Food and Hospitality, major hotel management schools, restaurants and chefs across the country. Indian celebrity Chef Sanjeev Kapoor honored the winners on this occasion. On this occasion, “Wah Ji Wah” as the fastest growing restaurant chain in India, “Rajinder Da Dhaba” for Most Promising North-Indian Food In Delhi, Moc – the American Restaurant as Delhi’s Best American Restaurant as Best Hotel in India, International Institute of Hotel Management as Best Hotel Management School Chain in India, Chef Ram Avtar awarded as Delhi’s Best Executive Chef. Likewise, Best Chef, Management School, Restaurants was also honored from different states of India like Jharkhand, South, Bihar and other places. On this occasion, M.D. and CEO of MAMR, Jiya said, that all the awards have been provided on the basis of strict research and the results of various surveys. She hoped that with this effort, the field of food and hospitality will be respected and encouraged.